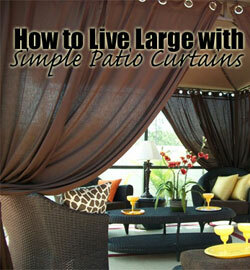 Outdoor Area Rugs - What to Look For? You may not “need” an outdoor rug, but it’s amazing how these simple accessories can really tie together a bunch of furniture and create an outdoor room. 1. It’s important to get a mat or rug that is designed to be used outside. These are typically designed to prevent fading, resist mildew and stand up to more wear and tear – so they can last and look better longer. An old ratty carpet won’t do your outdoor space any favors. It can also get expensive (not to mention be a hassle) having to replace an area rug each year. 2. It’s also a good idea to get a smart-looking or stylish design rather than buying the cheapest piece of carpet you can find. An attractive rug can actually become the focal point of an outdoor space and this can enhance the look of plain ordinary patio furniture. 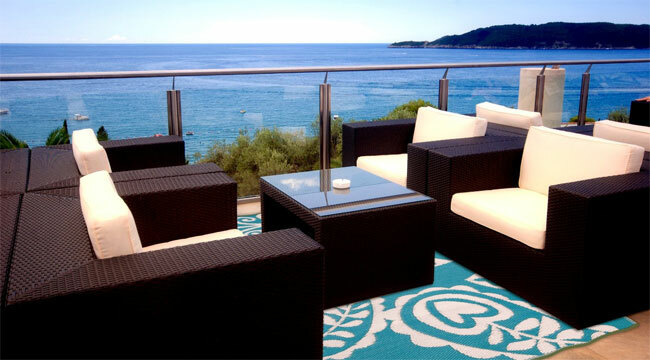 There are lots of benefits of using outdoor rugs. 3. 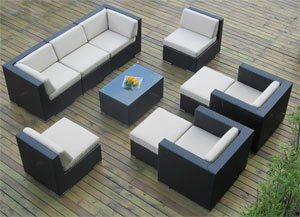 A simple way to reduce the cost of buying an outdoor carpet is to choose one that has a thinner weave. As long as you have furniture holding down the area rug, it doesn’t matter how lightweight it is. Since they usually weigh less than 10 lbs, they are easy to pick up and move, shake out and clean. The thinner fabric or weave dries out faster if they happen to get wet. 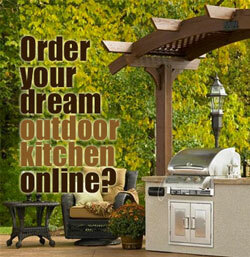 This is especially nice if it is sitting on top of a wood deck. It helps the rugs last longer too. It’s super easy to hose them down and hang them over a railing if necessary because they air out and dry quickly. 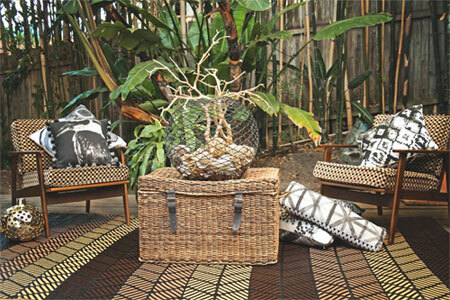 My favorite outdoor area rugs are made by Fab Habitat. They do a good job of meeting our criteria:  they are well-made, durable and designed to be used outside  they are lightweight (5 lbs or less) and  they are affordably priced, even for large-sized mats. They are made from recycled plastic. This means that we can feel good about using an environmentally-friendly product – plus, the plastic obviously doesn’t absorb water and will resist mildew. 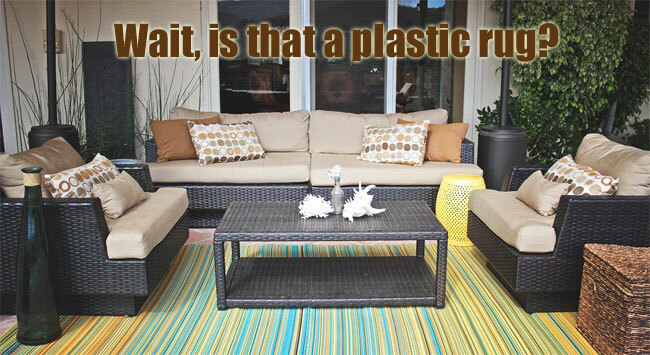 At first glance, you probably wouldn’t even know that the rug is made of plastic. It’s such a tight, thin weave that it’s surprisingly deceptive. It doesn’t feel like you’re stepping on a plastic mat, but you get all the advantages of essentially having a waterproofed carpet! Note: Did you know the photos you’ve seen are actually made of plastic? These rugs will typically weigh more (around 20 lbs) and be a little thickener and softer with a low pile. Each will vary by style, design and manufacturer, so be sure to check the item description to see exactly what you’re getting.